All of the foreign staff working with God's Littlest Angels are volunteers who raise some of their own support or are paid a very small stipend. Currently, there are 7 full time foreign staff members working in Haiti. 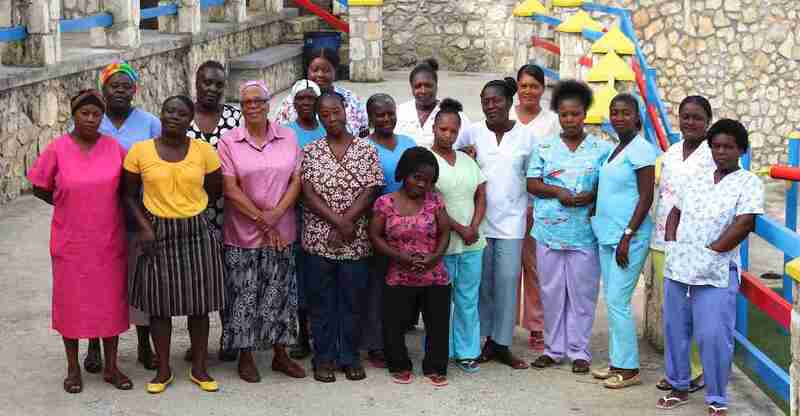 We have more than 60 Haitian staff at GLA. 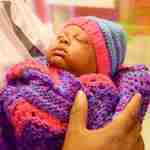 The nursery and children's houses are staffed by paid Haitian nurses and nannies who provide 24/7 care for the children. God's Littlest Angels could not function without these wonderful ladies. They are responsible for providing the highest caliber of 24/7 care and nurturing for the children staying with us and they love each child for the blessing and miracle that they are. They are resolutely committed to the mission of GLA as they spend more time with the children here than they do at their own homes. These ladies are always willing to do whatever is asked of them to give the children of GLA what they need and they protect each child as if he/she were their own. Founders, John and Dixie Bickel, along with their three older children, came to Haiti in September of 1991. 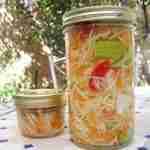 The Bickels are originally from the state of Illinois, USA. In 1995, the Bickel family adopted two of the children at the orphanage, Mark and Steeve. Mark currently attends university in Colorado and Steeve just recently married and moved to Colorado Springs with his new wife. The Bickel Family started God's Littlest Angels when they took in their first premature baby on Christmas Day 1994. 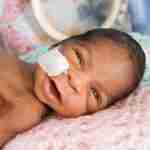 The baby was not expected to live but she did live and is 23 years old! 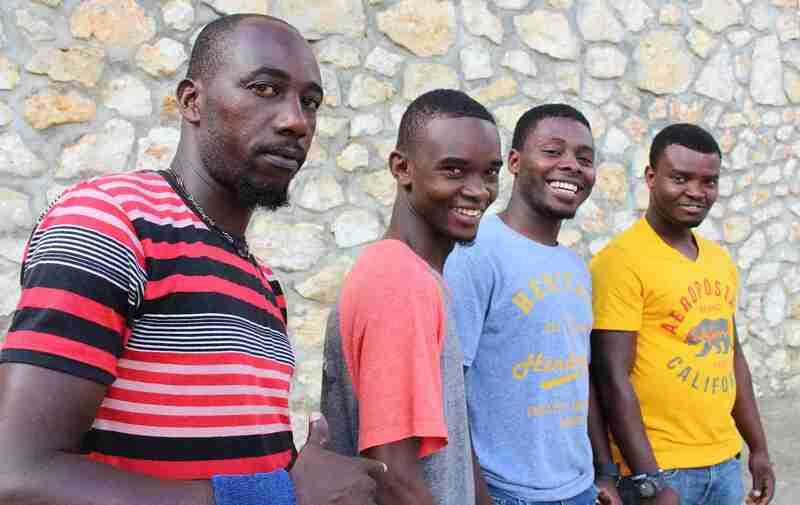 The work in Haiti started with one baby but today the orphanage houses over 45 children, runs three schools for the children, and has a fully functioning NICU. Dixie is a registered nurse and has 40 years of experience in pediatrics and intensive care nursing. 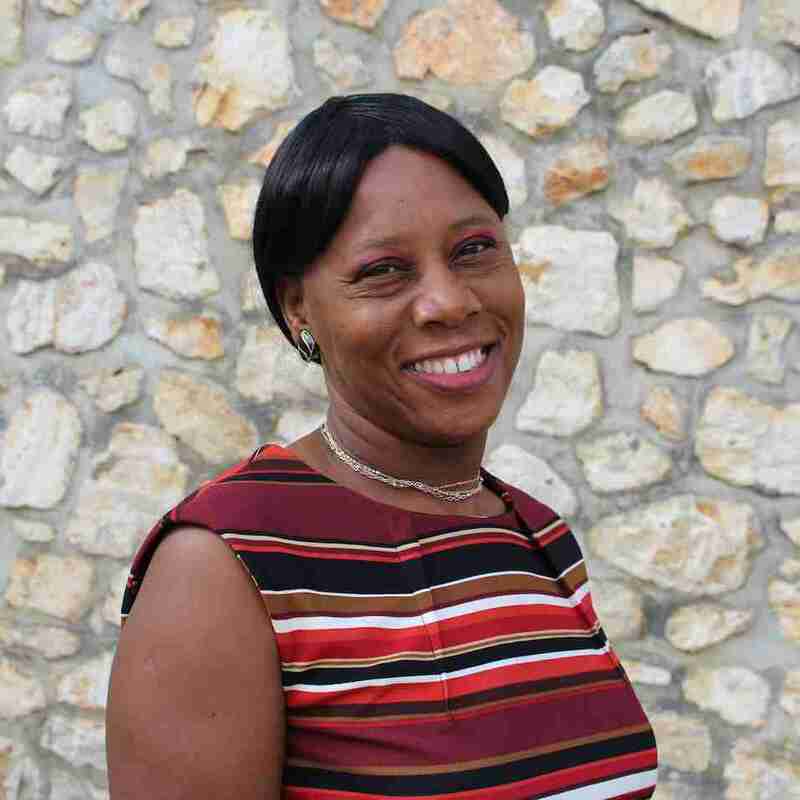 She serves as the Executive Director and is responsible for working with the Haitian government and the daily running of GLA. John is the Plant Operations Director for the mission and responsible for all building projects supervision. The Bickels have five children, seven grandchildren, and two great granddaughters. 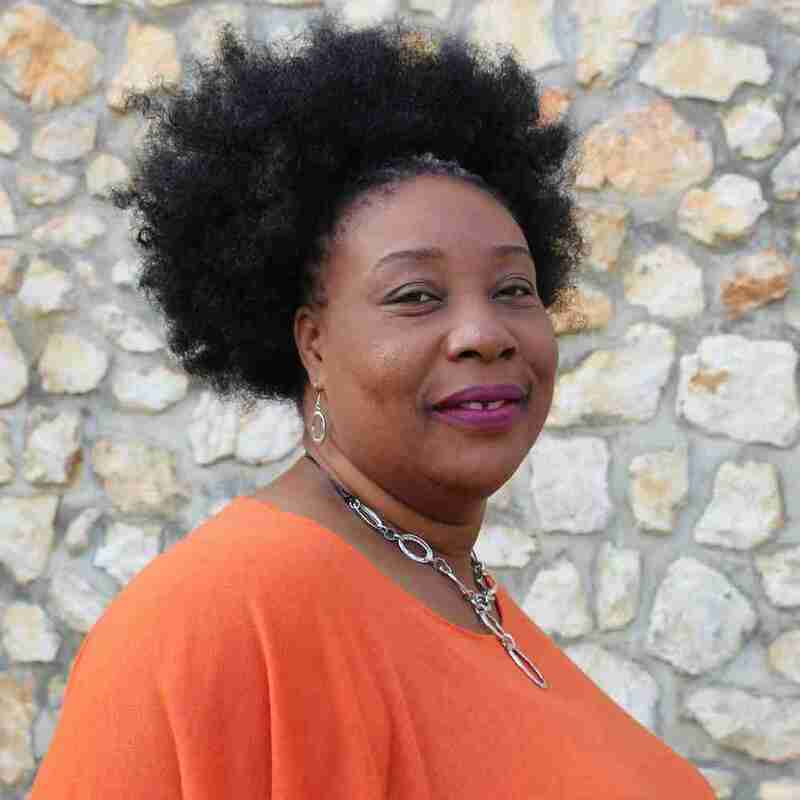 Magaly Francois has worked at GLA since February 2000. Through a GLA donor, Magaly was sponsored to attend school to become a registered nurse while working at the orphanage. She graduated in 2005 and became the Head Nurse for the orphanage. Magaly is now the Haitian Administrator for the Mission, working hand in hand with Dixie, doing everything from hiring staff to working directly with IBESR and the courts. She has matured and grown a lot in her abilities and knowledge since coming to work at GLA. We are very proud of all she has accomplished. Magaly is married and has a daugher, Ashley and a son, Walker. Her husband, Paul, worked at GLA as an engineer during our busiest building time. Tim and Melissa are from Monticello, Illinois. They have volunteered at God's Littlest Angels since June 2010. After falling in love with Haiti and GLA, Tim joined the staff full time in October 2012 and Melissa joined him in January 2013. They operate the GLA guest house, hosting families and teams on a weekly basis. In addition to their guest house responsibilities, Tim is in charge of general vehicle and house maintenance, and also assists with the Fort Jacques construction projects. 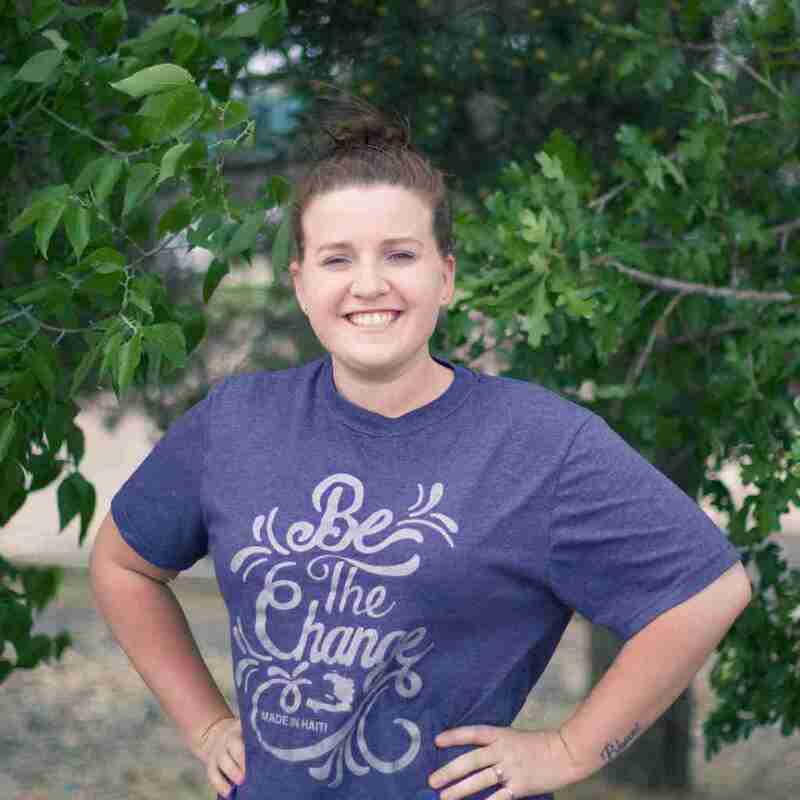 As of July 2015 Melissa is our Volunteer Coordinator, and facilitates transportation and daily activities for the teams and volunteers that serve at GLA. 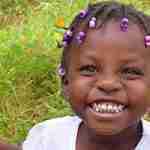 The Parkers have huge hearts for Haiti and love to play with all of our children here at GLA. The Parkers have 3 children. Their daughter, Chelsie, works in the Colorado Office as our U.S. 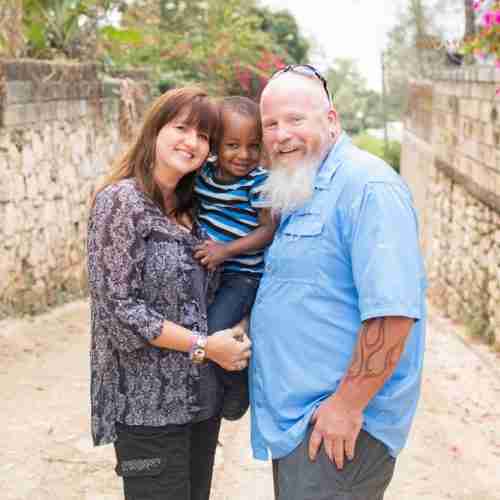 Sponsorship Coordinator, and their youngest son, Jamesly, lives in Haiti. Their oldest son, Tyler and his wife, Rachel, live in Iowa with their young sons, Merrick and Emmitt. 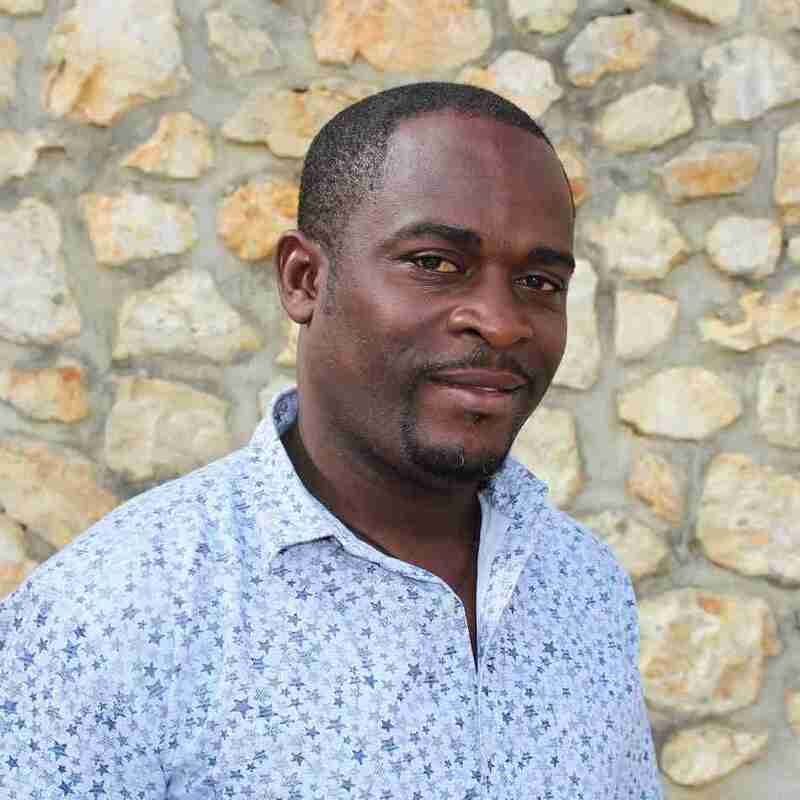 Ernst is the purchase agent and driver for GLA. He picks up guests from the airport and also purchases and negotiates for items that GLA needs to operate on a daily basis. Ernst's job is varied and every day brings something different for him to do. He has worked with us for more than 15 years. Ernst is extremely good with the children and serious about his work. 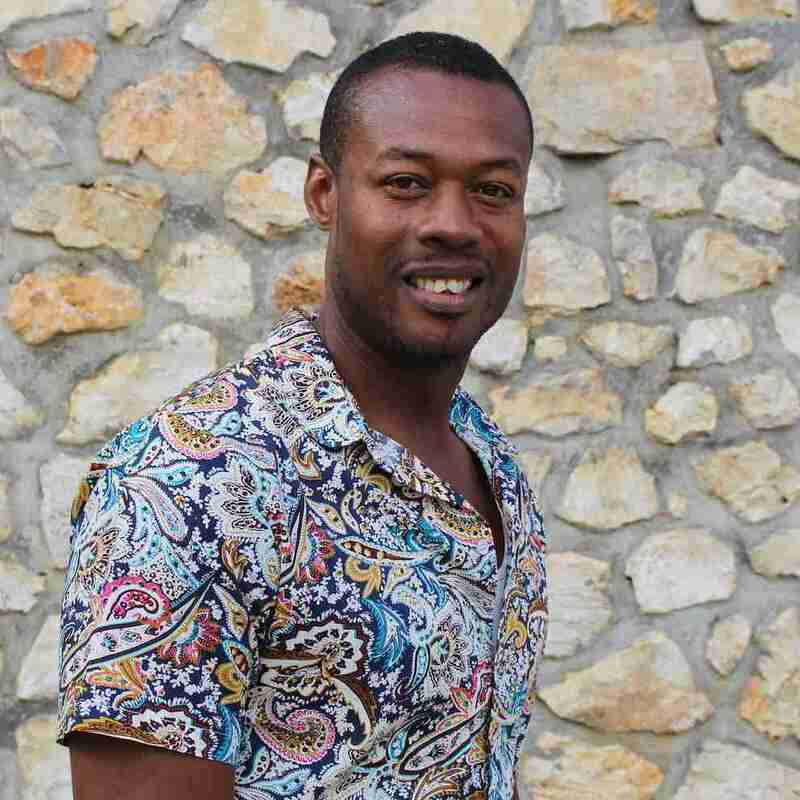 He lives close to the Port-au-Prince airport, is married and has a son and a daughter. Ernst has been going to night school to be lawyer for the last 4 years. He will graduate in August 2018 and we could not be prouder of his hard work to better his job opportunities. Hannah is from Plymouth, Michigan. She moved to Haiti in June 2017 after coming on teams for a few years prior to that. Hannah is the English teacher in the GLA school and loves what she does! She works to expand not only the English knowledge and comprehension of the students, but also loves to create crafts for the kids and help encourage their creativity and imagination. Hannah enjoys living in Fort Jacques and likes to explore other parts of Haiti (and the world) when she gets the chance! Gabby is from Gainesville, Georgia. 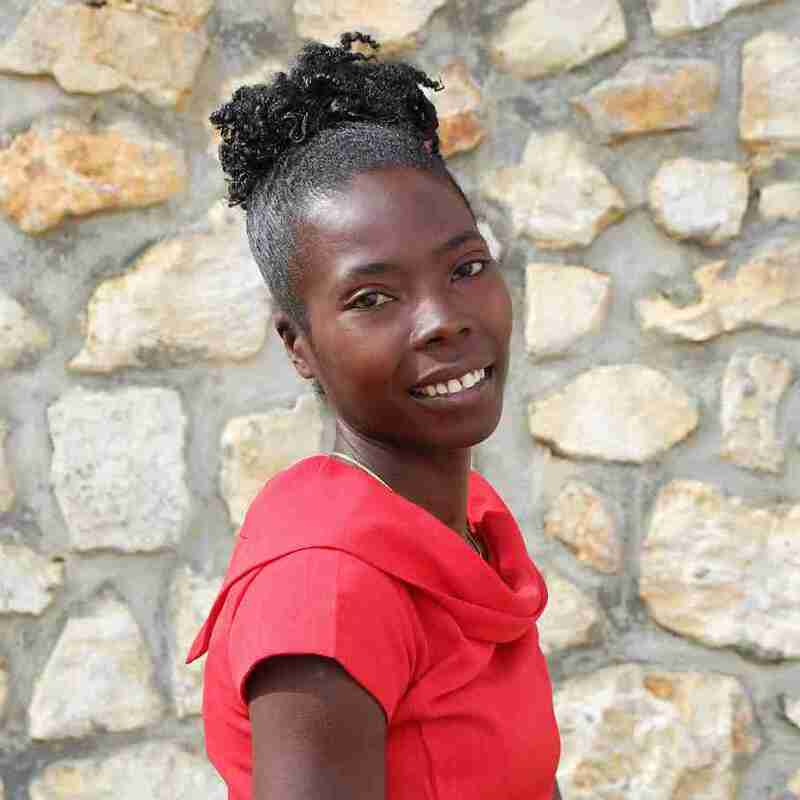 She moved to Fort Jacques in October 2018 after feeling the Lord call her to Haiti in 2011. 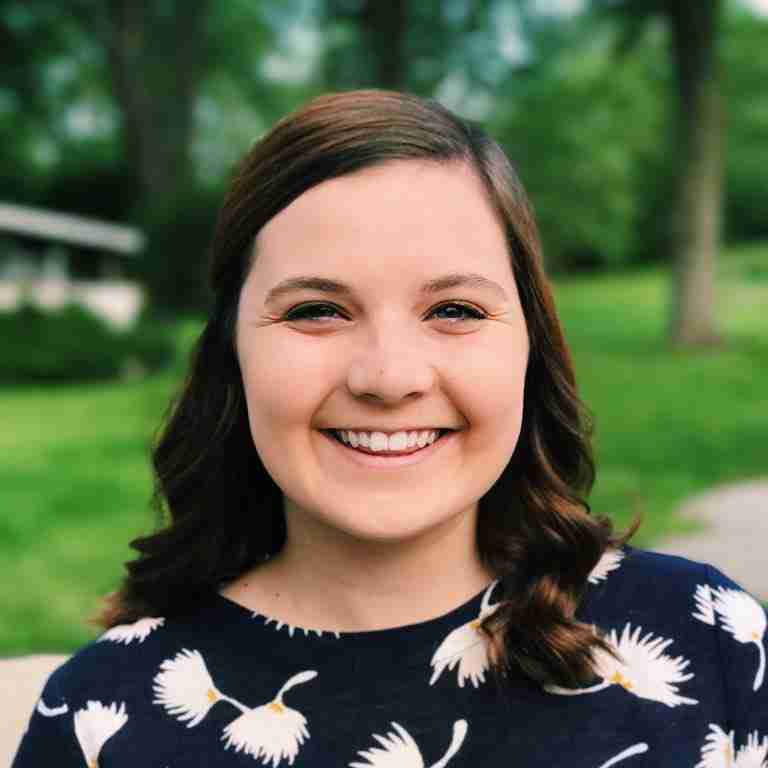 Although she had never visited GLA prior to joining the staff, she had visited Haiti seven times and had spent two summers in Haiti interning. 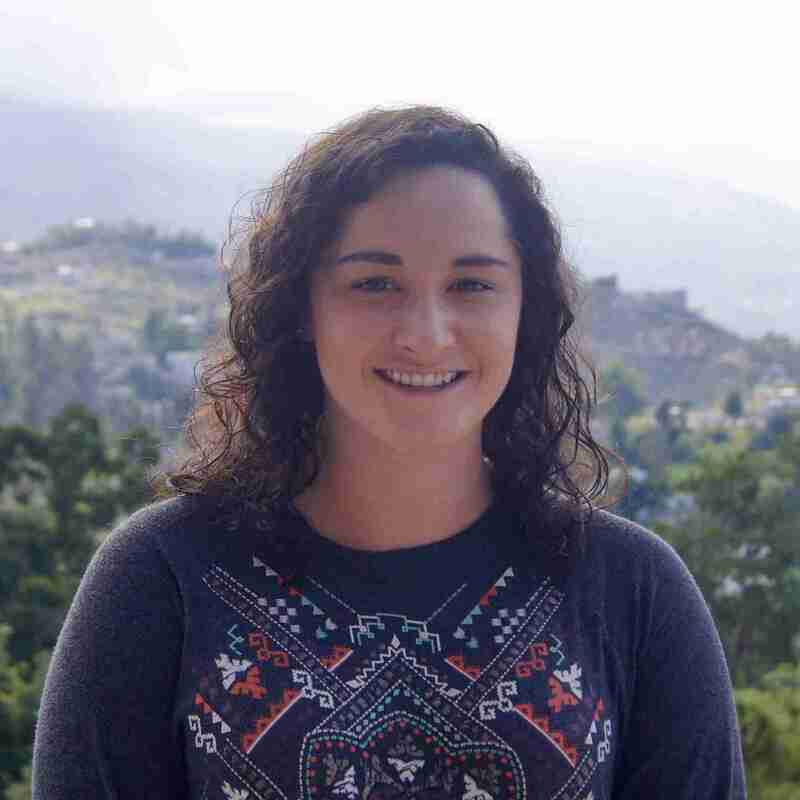 Gabby has a bachelor's degree in Cross-Cultural Studies from Toccoa Falls College and is over GLA’s social media, sponsorship programs, and photography. 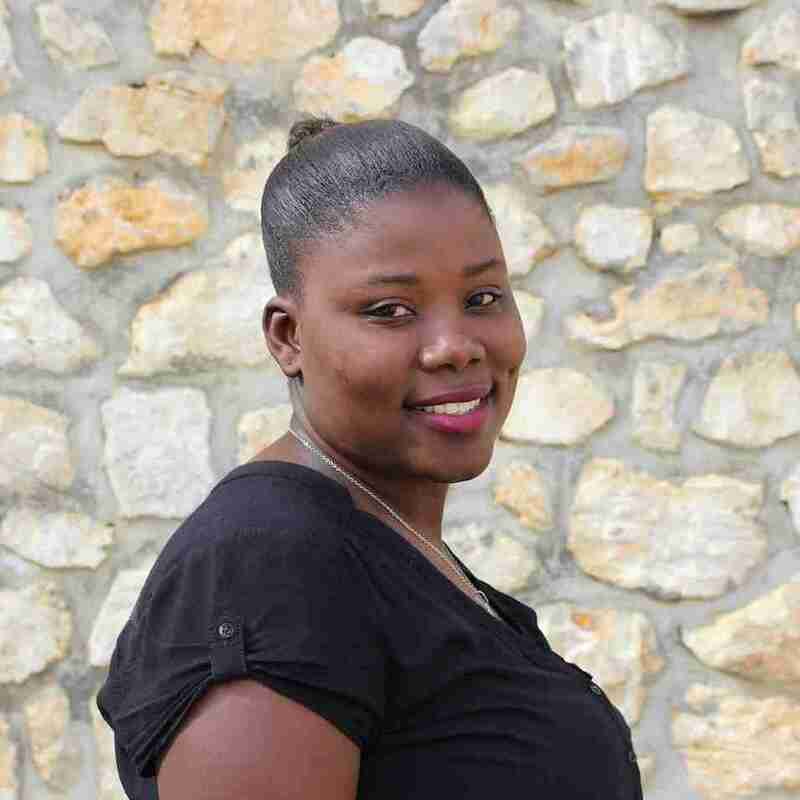 She loves living in Fort Jacques and enjoys exploring the beauty of Haiti. Dani is from Adelaide, Australia. She moved to Fort Jacques in November 2018 after attending GLA as a volunteer in June. Dani works at GLA as the nurse and is primarily responsible for maintaining the health of all the babies, children and staff. 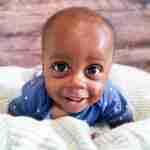 She has a particular interest in working with premature babies and is passionate about providing holistic care and education for their mothers and fathers. 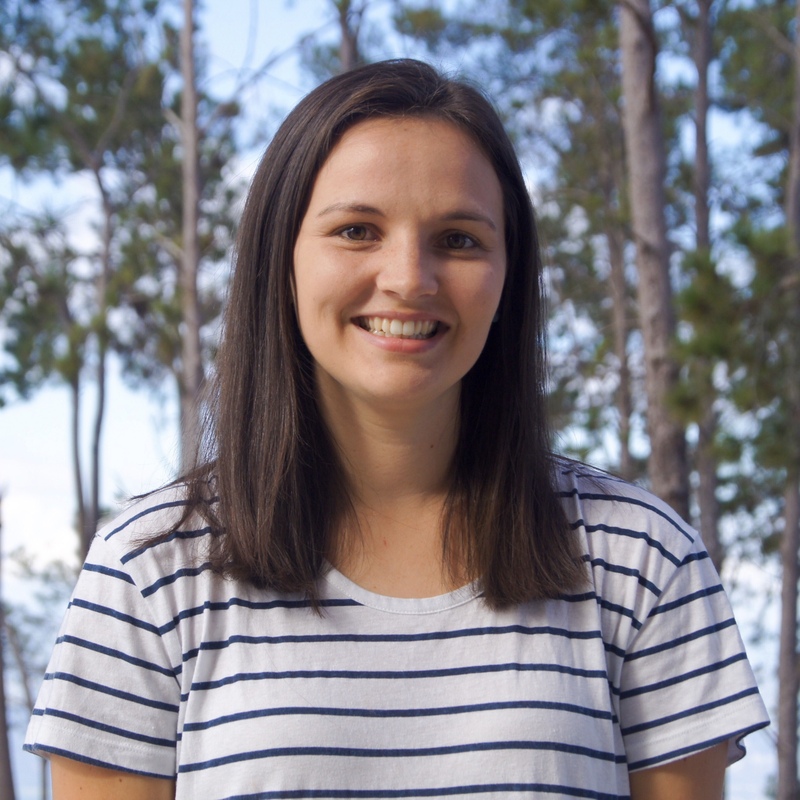 She has a Bachelor of Nursing degree and further training in Intensive Care Nursing and has worked in a major pediatric hospital in Australia for the past three years. She loves spending time outdoors in Fort Jacques and socializing with others over a hot cup of tea! Vivianne came to GLA when she was still in grade school. Her mother worked at GLA for 11 years before her death from cancer in 2011. The Bickel family tutored Vivianne and eventually she came to live with them. She has worked at GLA for over fifteen years and has gone to school for cooking, seamstress, and cosmetology. She is responsible for supplies in the house and working with the kitchen staff, doing meal planning and ensuring that the food for the children is the best quality. Vivianne loves the babies and always has one in her arms. She is married to her husband, Herby, and has a son named Luke. Alan joined the GLA staff as a driver in October of 2014. Alan lives in LaBoule which is close to the GLA. This allows him to make early morning trips to the Consulate and Airport when we need him to do this for us. Alan speaks a limited amount of English so if he picks you up from the airport, please remember to speak slowly with him. Like everyone else here, his English will improve as he spends more time with English speakers. Alan is married and has 2 children, a boy and a girl. Patrick started working at GLA in 2011. He first started working as an assistant for Magaly. 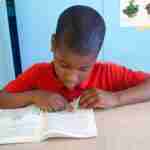 Then we found out that Patrick is a trained accountant with a degree from a Haitian university! Patrick is now our accountant for all the funds that go in and out everyday to keep everything at GLA running smoothly. Patrick has a great sense of humor and is willing to help GLA in any way that he can. He is from the community of Kenscoff. Françoise joined the GLA staff as our Nursery School teacher when we were still at the Main House in Thomassin 32. Since we've now relocated our entire operation to Fort Jacques, we've transitioned her into the Adoption Coordinator position and she is doing an amazing job! She works diligently to stay on top of updating each child's dossier in order to ensure that the adoption process runs as smoothly and expediently as possible. She lives in Delmas 95, is married and has two sons, ages 4 & 5. Guerda (Mme Bernard) is our head nurse in the Intensive Care Nursery. She has worked at GLA since 2000. Since working at GLA, Guerda has gained a lot of pediatric experience and is a very competent nurse. She loves all of the children as if they were her own and provides the best care that she can for each of them. She and her husband live in Fort Jacques and have two children. 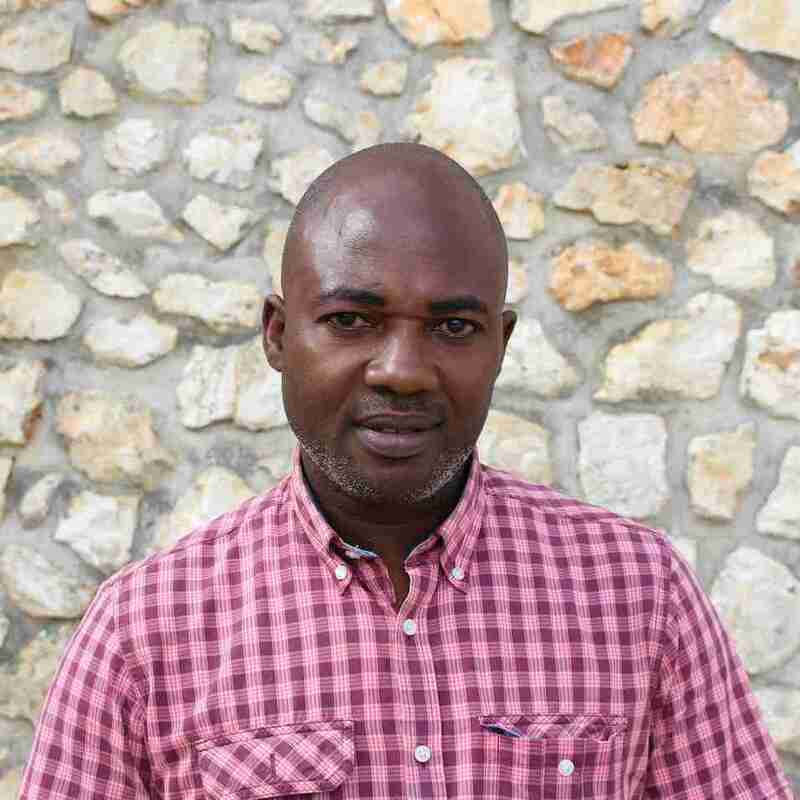 Luc serves as the Administrative Assistant to GLA's Haitian Administrator. 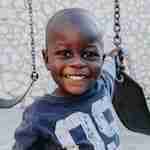 If he's not processing paperwork ciritcal to a child's adoption process, he is usually on the move to deliver papers to Haitian Social Services or various embassy locations. He has been working with GLA for just over two years and is an excellent addition to the GLA team. Luc is lives in Carrefour and is very happy to announce that he is engaged to be married next year. Ruth has worked for GLA for 13 years. GLA sponsored Ruth to attend university to become a preschool teacher. She started working at GLA in the school department then transitioned into our office. She is happy to jump right in to whatever task is asked of her and she is always joyful, ready to make people smile and laugh. Ruth loves sharing her love for Jesus with everyone around her. She lives in Fort Jacques very close to GLA and is married to a local pastor and has a 6 year old daughter, Keisha. 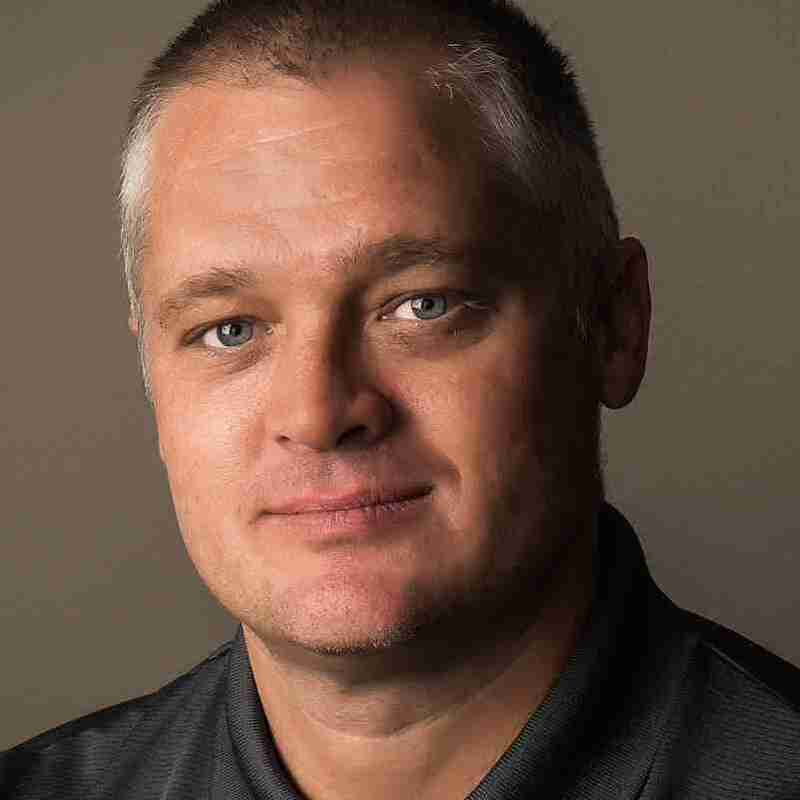 Jeremy is from Phoenix, Arizona and is a home builder who owns his own business. 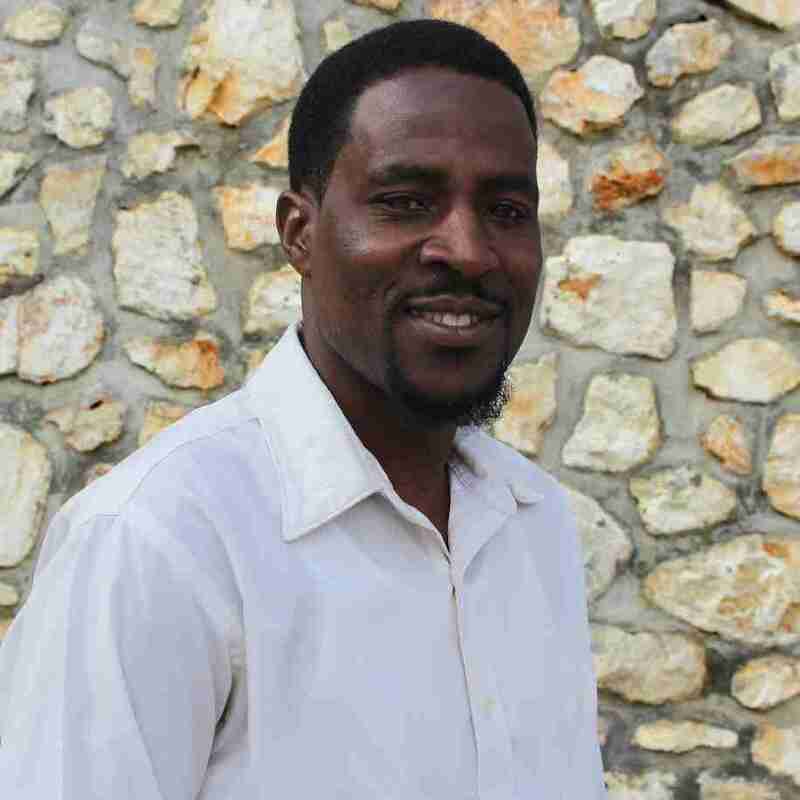 He travels to Haiti to assist GLA in its building projects at Fort Jacques and has been volunteering here for several years. He has lots of experience in all types of construction work. Jeremy pays his own way and raises funds for his airfare through donations. We're thankful to have him helping us! Jeremy is married and has 5 children. This is Walnick, Robenson, Josue and Simby. We affectionately call them The Boys, but they are such good young men to have around our Fort Jacques campus. If you spend any time here at GLA, you'll see them daily, doing any manner of hard work from cleaning, gardening, replenishing kitchen and childcare supplies and caring for our egg-producing chickens. They love to laugh together, play soccer with the kids and play jokes on one another. We're so thankful for all of the work they put in to keep GLA running at top speed. We have two full-time and three part-time workers in our GLA USA office based out of Colorado Springs, CO. All of them are indispensable to GLA's running effectively and efficiently as they handle much of the peripheral business tasks related to our continued work in Haiti. 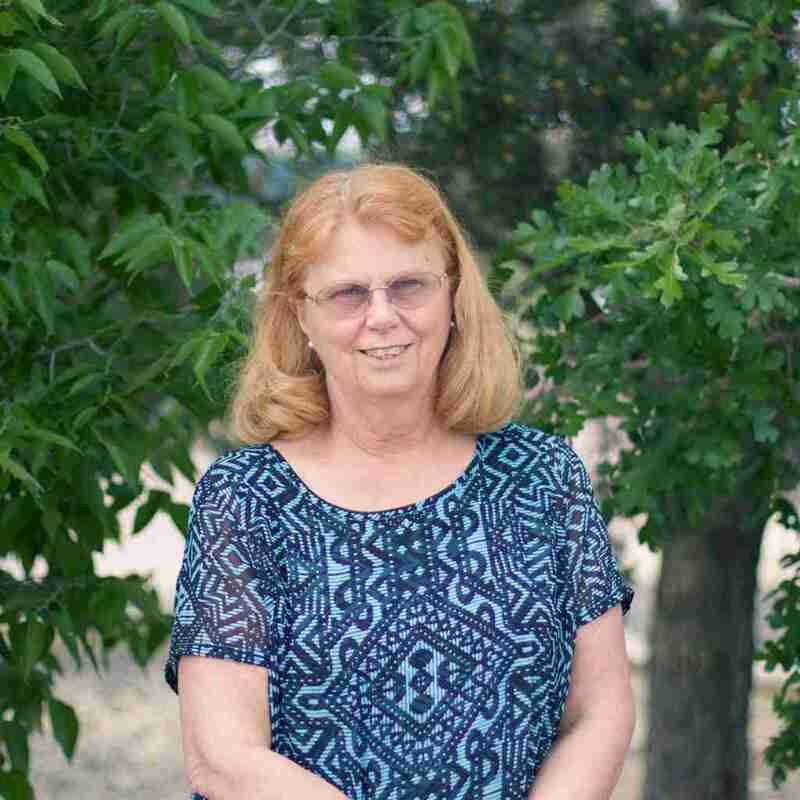 Jean is a registered nurse who started volunteering her time doing the bookkeeping for GLA USA in 1999. She became a full time employee of GLA in January 2005. 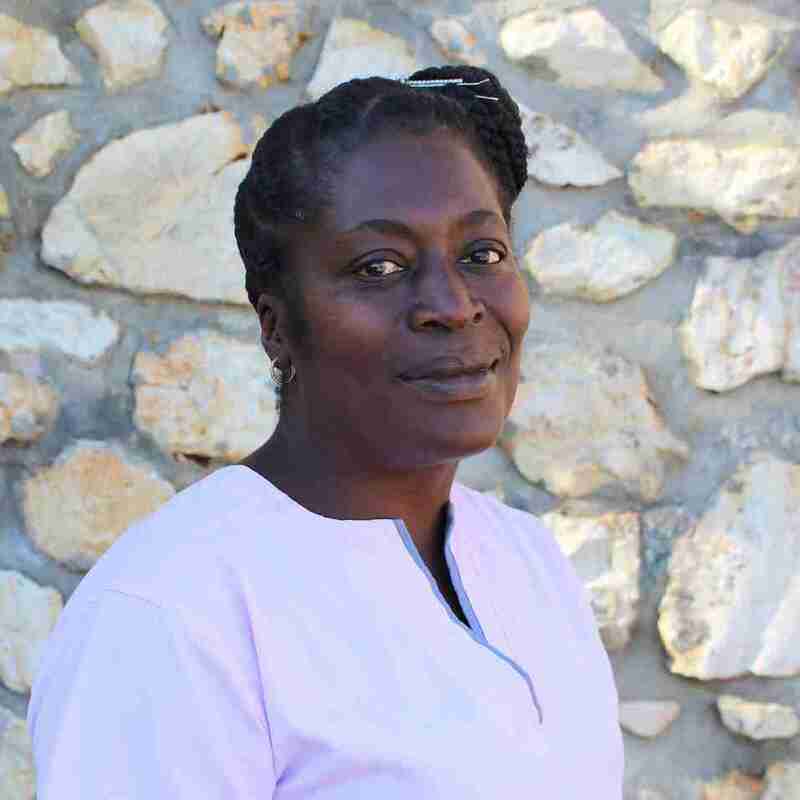 Jean is the Director of US Operations and comes to Haiti yearly to organize and inventory our medical supplies. 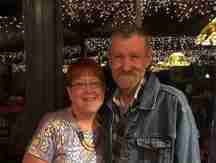 She is married to her husband, Steve, and they have three children, one grandson and one great grandson. Chelsie has been with GLA since 2015. She is our US Sponsorship Coordinator and works with education and child sponsors. Chelsie and Steeve Bickel got married in November 2016 and soon after, relocated to Colorado Springs. 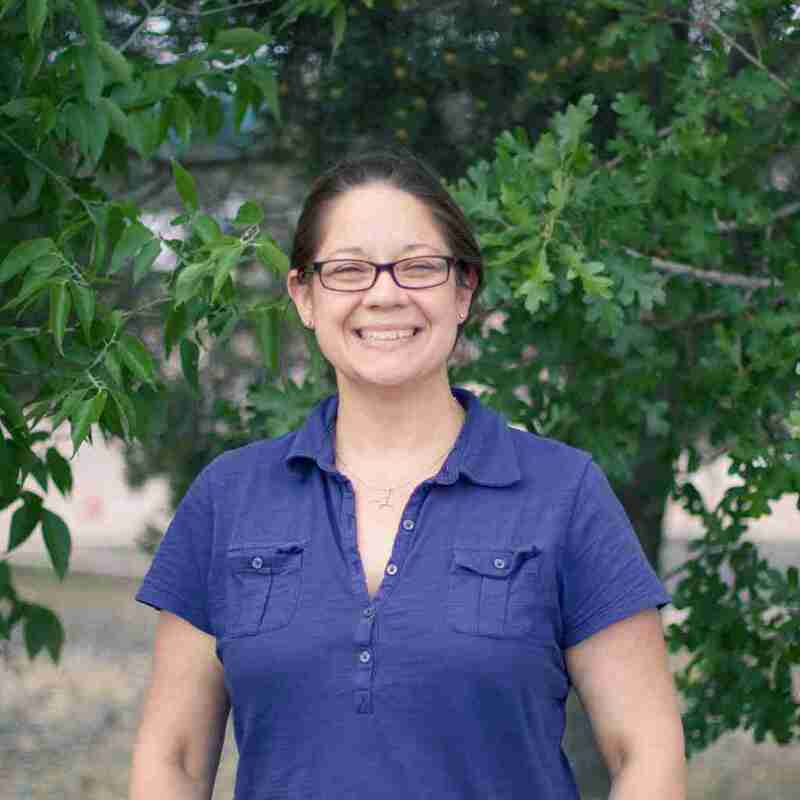 Chelsie now works in our Colorado Springs office. Chelsie loves photography and takes beautiful photos for GLA and privately. 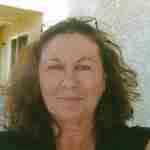 Laurie has been with GLA over 14 years and works part-time as the volunteer coordinator in the US office. She is John and Dixie's daughter and grew up in Haiti with her parents. She has one son, Kane who is 3 1/2 years old. Anyone interested in volunteering at GLA will be in contact with Laurie at some point in that planning process. Jay has been with GLA since 2014. She is a retired Mental Health and Substance Abuse Counselor. She now works in our US Office as our Administrative Assistant, doing all of our data entry and many other tasks critical to ensuring that GLA's operations run smoothly.